Why should workplace wellness be important to you and your company? It’s simple; a comprehensive employee wellness program can provide a direct boost to your company’s bottom line. Research shows that the return on investment from a well-run employee wellness program can be as high as six to one. As part of our mission to promote health and wellness in our community, Sante Chiropractic Wellness Centre offers a variety of complimentary services to businesses and organizations within the community. Please contact us at 613-837-2883 or click here to request your complimentary session. We look forward to helping you with your workplace wellness needs. The Sante Chiropractic Lunch and Learn Program is a great way to empower your employees with the information and knowledge they need to improve their health, energy and vitality while at the same time boosting your company’s bottom line. Happy and healthy employees will be more productive and absent less!! 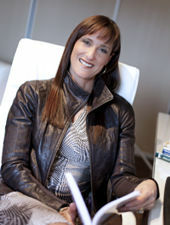 The 3 Secrets to Creating Wellness and Balance in Your Busy Life – With Time to Spare! 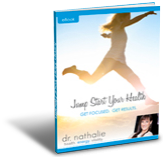 Are You Achieving Your True Health and Wellness Potential? Our bodies were not designed to sit at a computer 8-12 hours a day. Many of the actions our bodies perform at the computer are repetitive in nature and can cause serious problems for our bodies and our health. If the ergonomics of your workstation are not designed to meet your specific body measurements or ergonomic needs, you will experience pain and discomfort and that is not a healthy, positive way to spend any amount of time! It may not be possible to change the type of work you do but it is definitely possible to reduce the negative impact this unnatural setting can have on your body and your health. Sante Chiropractic’s comprehensive workplace ergonomic assessment will improve workstation safety, efficiency and comfort. Being on your feet all day can definitely take a toll on your body! Your feet are made up of 28 bones, over 100 ligaments, many muscles and tendons that all work together to support the weight of your body and act as a foundation for movement. A small misalignment in your feet can cause a chain reaction of changes to your posture and walking mechanics and these changes can put more stress on the joints above resulting in back pain, joint pain, tendonitis or bursitis. 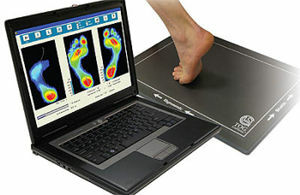 The team at Sante Chiropractic Wellness will bring our state of the art gait analysis technology, GaitScan™ to you! GaitScan™ analysis takes just a few minutes and will instantly show the distribution of pressure in your foot while standing and walking. The report generated will help evaluate foot function and determine whether there are any structural problems in your feet.